Recently I got an email from the radtastic people at POM Wonderful. Gee, I wonder why they chose NOW to email me? Could it be…*looks up at header* Hehe! They wanted to send me some juice. 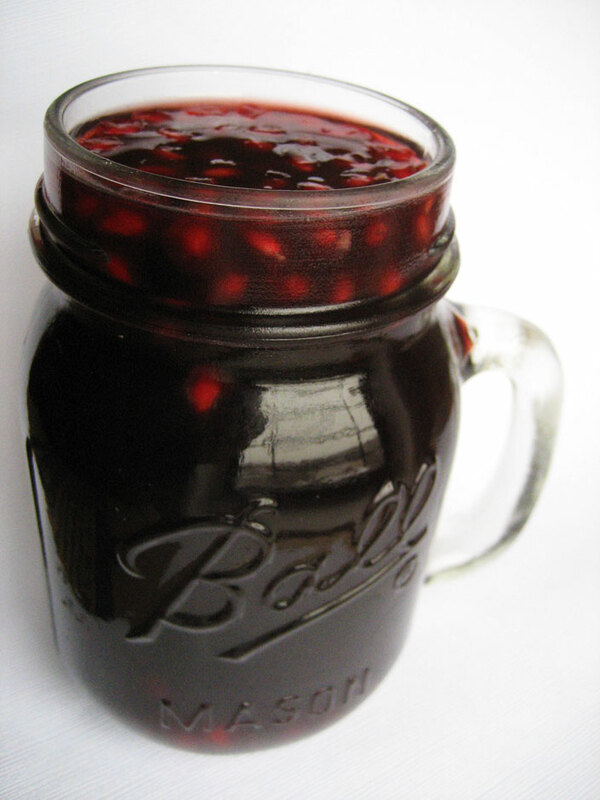 And who am I to refuse sweet, tangy pomegranate juice? I wasn’t really sure what to do with it (and I still have two bottles in my fridge!) but I knew I’d figure something out. 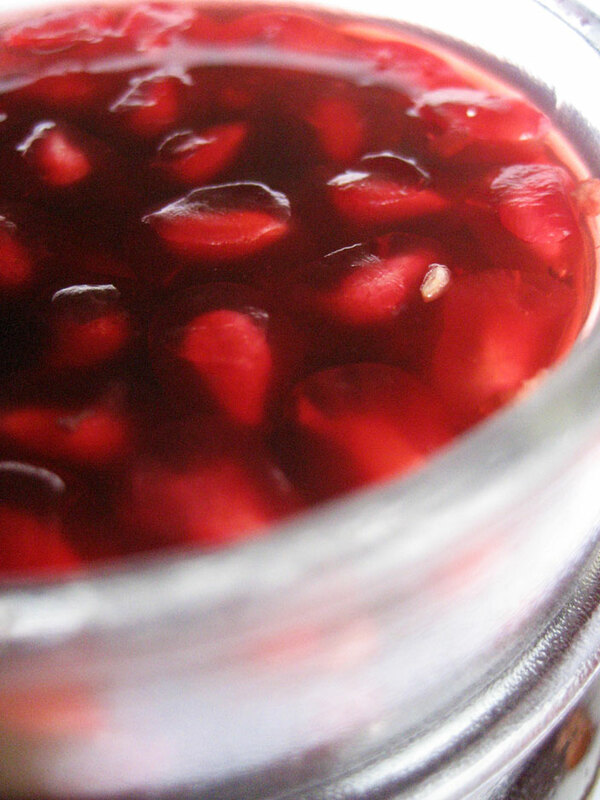 I opened my trusty copy of the Flavor Bible and looked up pomegranates, hoping to find some inspiration. And did I ever! One thing that caught my attention was…TEQUILA. Ooooh…I totally HAD that! Left over from some boozy watermelon at a picnic this past summer. Add some ginger and lime, and we’re getting somewhere! I decided that, though a cocktail would be pretty and delicious, this particular drink needed to be a bit more seasonal. So I made it into a hot mulled drink. 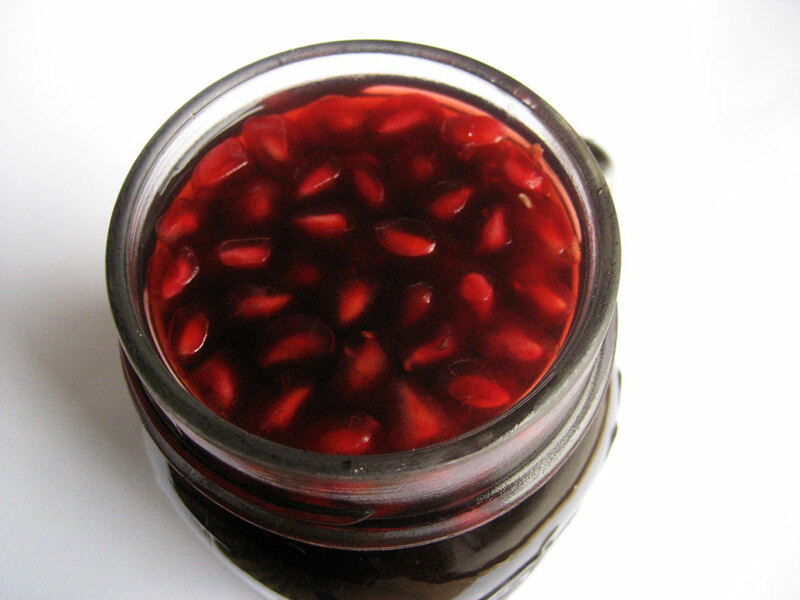 Lime peel and juice, some fresh sliced ginger, a glug of tequila and a little agave nectar for sweetness…not to mention a handful or two of fresh pomegranate arils floated on top for fresh, crunchy pomegranate flavor. 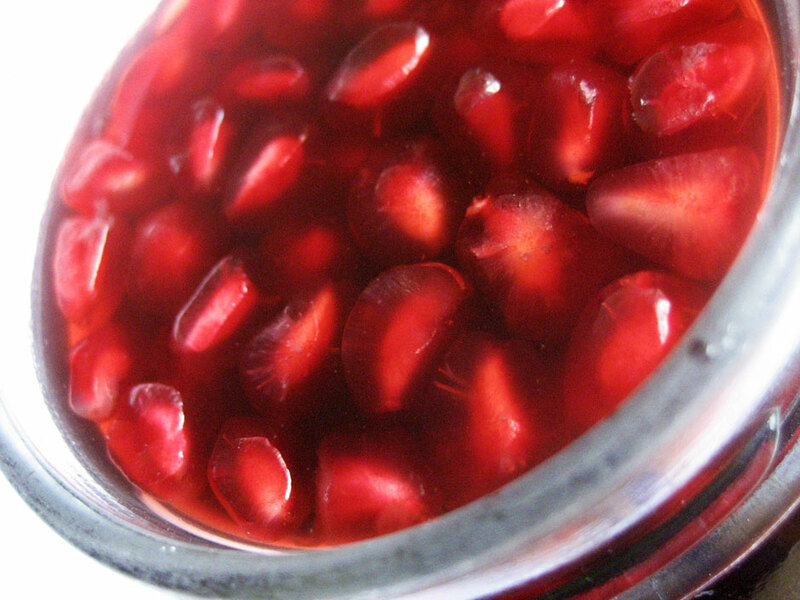 Place the pomegranate juice, ginger, lime peel, lime juice and tequila in a large saucepan and simmer over low heat for about an hour. Sweeten with agave nectar and strain out ginger and lime peel. Garnish servings with arils. This would be a great alternative to punch at a New Year’s Eve gathering – the ginger makes the whole thing extra warming and together with the lime really packs a zesty punch of flavor. The tequila is understated and could certainly be increased if you wanted a boozier drink. Haha I never noticed the Pomegranate before! :P That does look very good indeed and what a cool cup-you can transport it that way! I am so making this when I get back to nyc! Tequila always makes me feel better so I feel okay about calling it healthy :) Wishing you a fantastic 2010 Anna!